The Pet Seat is a great way to take your furry friends with you on the road. It installs quickly and easily and with the included safety tether it helps dogs in your car while driving. 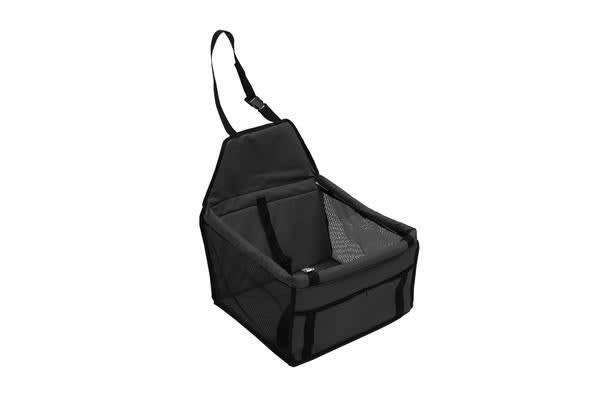 Made of durable material and breathable mesh fabric, keep your pet dry and comfortable. A padded bottom seating area provides a comfortable ride. Adjustable straps fit most cars, vans & SUVs. Built-in a safety strap attaches to harness or pet collar, providing better protection. 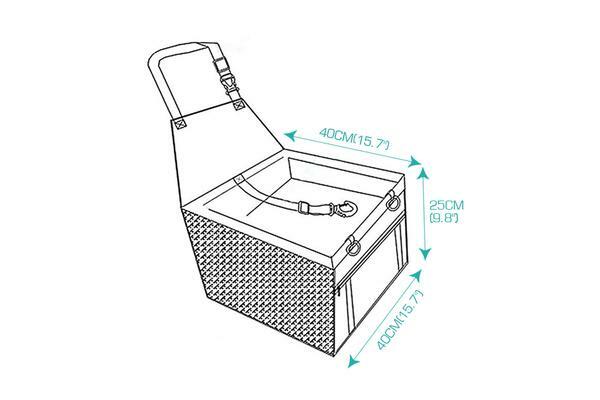 Built-in adjustable straps makes installation in almost any vehicle a breeze. A zippered front compartment makes for a convenient place to store treats or toys. Easy to set on your car seat, and easy to fold and put into rrow space,keep your Car Seat clean and safe from your pet’s paws.